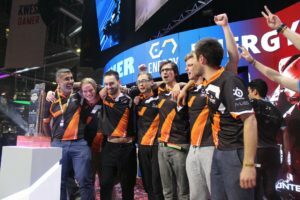 There’s been a veritable flurry of excitement surrounding the entry of FACEIT into South Africa through the Souzern Lions league. With such a announcement dropping it would be easy to forget it’s still business as usual in the competitive CS:GO scene. VS Gaming’s Masters Leg 3 will be starting next week, while ESEA’s upcoming season has already kicked off. Look out for a preview of the VS Masters Leg 3 later this week. For now, let’s turn our eyes towards ESEA Open South Africa Season 28. Energy managed to dominate the ESEA Open Season 27 last time around and walked away with the title with relative ease. Will anyone be able to challenge them this season? We’ve seen the inevitable postseason roster shuffles and lineup changes and it would appear that the opposition is gearing up to take the fight to the incumbent champions. Energy are deservedly the overwhelming favourites and Gareth “MisteM” Ries only makes them more terrifying a proposition. I strongly favour Energy for the title, but it’s slightly less likely to be an open and shut case like last season. Energy eSports winning ESL Africa Season 2 in 2017. Image courtesy of Kwese Gamer. The vanquishers of the depleted Energy squad in Season 26, Big 5 chose to sit out Season 27 to focus on VS Masters. While they have maintained their position there or thereabouts in the top three of South African CS:GO, their previous upward trajectory seemed to stall out. We started to see them labouring to beat lesser opponents and not being as dominant over Goliath Gaming as they had been in the past. In the interim, they’ve lost their coach James “zerOch4Nce” Wijnberg to Sinister5, where he is looking to revive his playing career. I don’t think that will affect them much, but it is concerning that even a revered tactical mind like zerOch4Nce couldn’t help the team find tangible improvements. They are a good team. Let’s hope they get back to what they do best, which was being the closest rivals to Energy. To do that they will need to start winning consistently against Goliath. I’d bet on them being likely third place finishers. The current second best side to Energy after having a better season than Big 5 in all competitions. Their threat will have been amplified with the addition of Tyler “adaro” Oliver to the roster. He is an exciting talent that will give them the option of an aggressive AWP to open up rounds in a way they never had before. 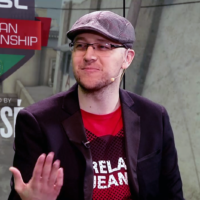 Stefan “Nef” Smit did an admirable job with the big green gun as a part time AWPer, but that also deprived them of one of their most potent riflers. They could also look to use adaro as a rifler, but I think it will be far more beneficial for the team to use him as a dedicated sniper as it is an element they lacked in the past. Of course losing HackeM who has consistently been one of their strongest fraggers will mean the others will have to take up the slack. I think Nef on rifles with adaro focusing on the AWP could be a winning combination for the team. From there I’d like to see a bit more tactical variation worked into their game so they are better able to take on Energy in their next encounter. I’d wager they’re likely to continue their status as the best of the rest. They’ve injected a healthy dose of experience into the roster with the signings of Jan “Takbok” Theron and Jaun “Zeo” Nieuwoudt. They’ve retained the services of the explosive duo of Aaron “Slowye” Van der Walt and Brad “BaNaNaZz” Altona, while the ever-reliable Tiaan “Tiaantjie ” Rheeder is there to glue everything together. I like the balance of this lineup. This could be Leetpro’s best chance yet of a semi-final finish. The former Skeletons Again crew are a dangerous team that could easily find themselves in the semi-finals this season. Last time out, they lost unexpectedly to xTc in the quarter-finals after a stellar season where they looked to be equal to the likes of Goliath Gaming. This team has the firepower and the experience to push the best teams to the limit. They could be the side that pushes any of Goliath, Big 5 or Leetpro out of the top four if things go their way. The Energy Academy team. Image courtesy of Energy eSports. The reformed WRG team has certainly looked potent in the few outings I’ve seen from them. I’ve not seen enough however to be sure, so I’m going to stay away from any definitive statements on their abilities against elite opponents. I do think they are a team with upset potential and should be good bet for a top eight season based on their VS Masters performance. I’m excited to see what zerOch4Nce can do with his young charges. He’s shown an ability to make teams into more than the sum of their parts in the past. This time he’s got some decent young talent to work with that could do with his experience and strategic nous. While they were finalists last season, this roster is substantially changed. I’ve yet to see them play, but I anticipate a solid quarter-final run. I’ve enjoyed watching Rikus “ZipZip” Klue since he took over the in-game leadership. It’s seemed to suit him well as his individual performances have skyrocketed. However, the team has had some inconsistent results where one night they look untouchable and the next they look decidedly mortal. Whether they remain consigned to consistent inconsistency or find a middle ground, they will be looking to match Season 27’s semi-final run. I’m just a bit worried that they might struggle to do it again with the quality of their opponents this season. They showed some encouraging signs last season and were a good upset team. They’ve lost a bit of firepower to Goliath in the form of adaro. I’ve not seen the new version of the team play or even confirmation of exactly what that is, so I hesitate to make any pronouncements on how they might do. Still, I’d expect them to build on last season and to try maintain a top eight spot at the least. I’m just not sure whether that is possible or not this season.